The European Union is actively looking to increase its dialogue and cooperation with Turkmenistan withg plans to launch a fully-fledged EU delegation in Turkmenistan in 2019. The Turkmen government is at the same time seeking foreign direct investment and it seems it is seeking to participate in the Chinese-led Belt & Road Initiative (BRI). But, despite EU efforts to forge closer relations with this little-known central Asian country, many still fear that Turkmenistan remains a dangerous and unstable place to do business. It remains a highly closed society, it does not operate or allow a free press, and independent and reliable news is scarce. Limited but significant external (including Western) investment in Turkmenistan, in particular in the oil and gas procurement and affiliated industries, exists, and many more companies are tendering for Turkmen government contracts or are interested in investment opportunities in Turkmenistan. Western attention on opportunities arising from the BRI, such as the annual UK-Turkmenistan Trade & Industry Council set to meet this month, may draw heavier public scrutiny for investor companies and their relationship with the regime. However, significant risks and drawbacks exist in relation to investing in Turkmenistan. One key reason for potential investors to hesitate is Turkmenistan’s track record of investor abuse and lack of respect for property rights and corporate assets. A second is Turkmenistan’s very poor standards on human rights, labour conditions / unethical supply chains, political freedom, corruption, treatment of journalists and dissidents, and generally repressive form government. It is thought that association with the regime could cause companies’ reputational harm. Corporate complaints against the Turkmen government also exist in abundance. These complaints chiefly concern non-payment under contracts for services rendered. The Turkmen government has a very poor track record on paying its debts and on respect for private property / corporate assets. Numerous oil and gas companies have encountered problems with non-payment, appropriation of assets and / or government interference in commercial activities in the region. Turkmenistan is not included at all in the World Bank’s “East of Doing Business” global ranking analysis and Turkmen state-owned companies have had serious difficulties paying their debts and meeting their financial obligations. The message is that investors would be wise to be wary. Anti-Slavery International is urging brands not to knowingly source cotton from Turkmenistan on account of the prevalence of child labour. Stop the Traffik have made similar urges and a US ban on imported Turkmen cotton is in place. The US State Department describes corruption as “pervasive”, Forbes ranks Turkmenistan as the 6th most corrupt country in the world and Business Anti-Corruption Portal claims that Turkmenistan suffers from corruption “in every institution and across every sector of its economy”. One Central Asia expert with a Brussels based think tank said, “Companies with investments and interests in Turkmenistan stand not only to lose financially due to widespread corruption, but to suffer reputational harm as a result of association with a regime with such a poor international image.” The expert also pointed out Turkmenistan has a very poor track record on human rights, civic openness, political freedom and repressive practices more broadly. “There is very little respect for the rule of law – it remains to a large extent a police state,” he said. A key example is the finding by the UN that the Turkmen government was responsible for the torture and death of a journalist in 2006. This is not an isolated incident. Turkmenistan as been repeatedly criticised by the UN and by human rights groups for ill treatment of journalists, activists and political opponents. The lack of an independent judiciary has also been highlighted. It has a record on freedom of information / the press, treatment of dissidents and regime critics, refusal to allow human rights groups to operate, political imprisonment and minority rights, the HRW source told this website. “The cult of personality around the president and his capricious and unpredictable behaviour, combined with the absence of any clear respect for the rule of law, renders Turkmenistan a highly unstable environment for investors in which to place their trust.” Turkmenistan, it is argued, contrasts unfavourably with its neighbours in Central Asia / the Caucasus, who have been making genuine efforts at economic, political and social reform. Kazakhstan, Kyrgyzstan, Uzbekistan and Tajikistan implemented a total of 11 key reforms in business and regulatory areas to create an environment more hospitable to commerce, according to the World Bank’s “Doing Business” report. These reforms chiefly consisted of investor protections, enforcing contracts, and registering property. Turkmenistan is conspicuous by its absence in this report. 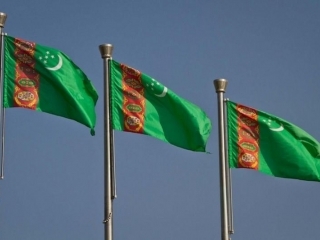 According to a UNECE report on economic and social reforms in Central Asia, Turkmenistan displays the weakest record. Kyrgyzstan and Kazakhstan lead the way with the most liberalised market economies in the region; Turkmenistan remains largely unreformed. A European commission spokesman said, “Human rights are an important aspect of our bilateral relations with Turkmenistan.” But the Brussels think tank expert cautioned, “Although the BRI’s presence in Central Asia and investment potential in Turkmenistan more generally present potentially exciting investment opportunities for Western and European businesses, investors should hesitate to engage with Turkmenistan.